I am a huge fan of matte finish lip products and when I noticed a heap of them on the market lately, I'm not gonna lie, I think my bank account died a little inside. Bourjois: I've been a fan of their products and their liquid eyeliner is my all time favourite. 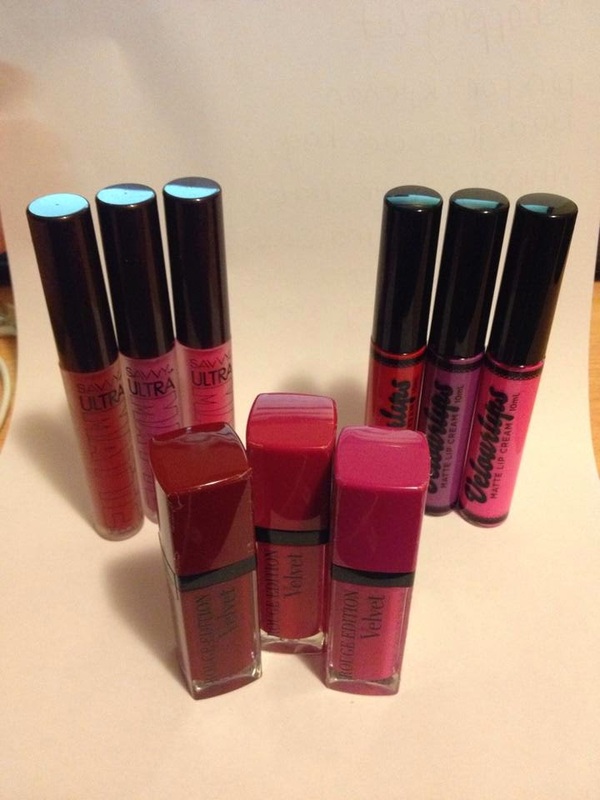 Australis: I've used their products a lot, and I like them, I'm becoming even more of a fan of their lip products, but I've never tried anything from this range before. Savvy: I've never used anything from this brand before, but with a price tag of under $10, I'm not gonna say no. I have 3 products from each line and have worn at least one from each line for a full day plus I've swatched all products. Lets get into it! Right off the bat, I have to say that the packaging is really nice, its simple elegant and like all things French, its a little bit chic. However, one thing I will say, is the safety seal that each product is individually wrapped in was an absolute disaster to remove. Resulting in flakey plastic stuck to the packaging making it a bit of an eye sore. I know its not that big of a deal. But its something I noticed and thought you all should know. Prepare for battle when opening these badboys. 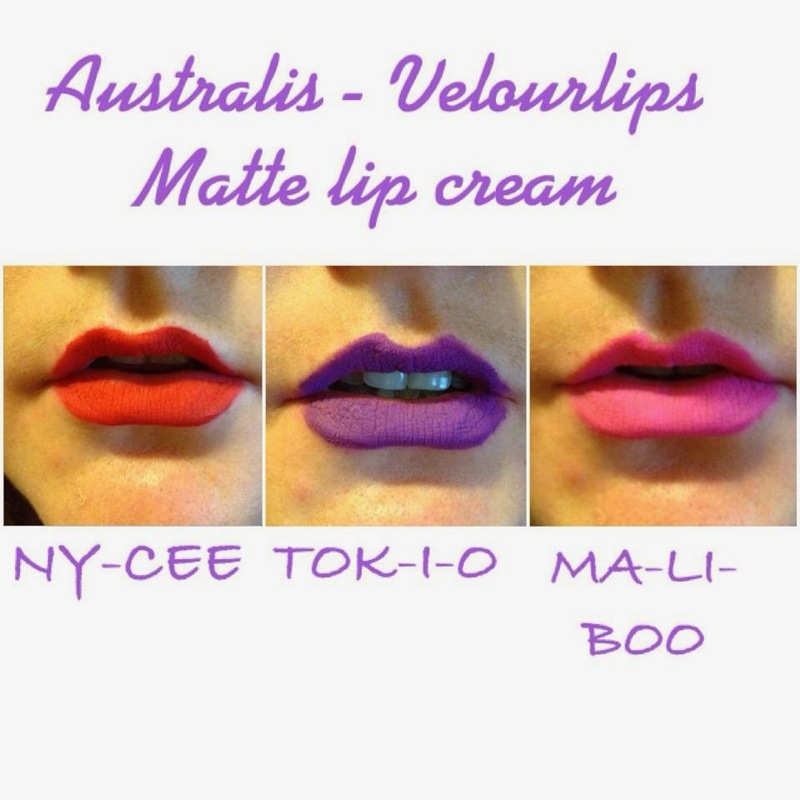 "Its soft, melting texture glides on to the lips and turns into a matt, velvety and incredibly light colour. 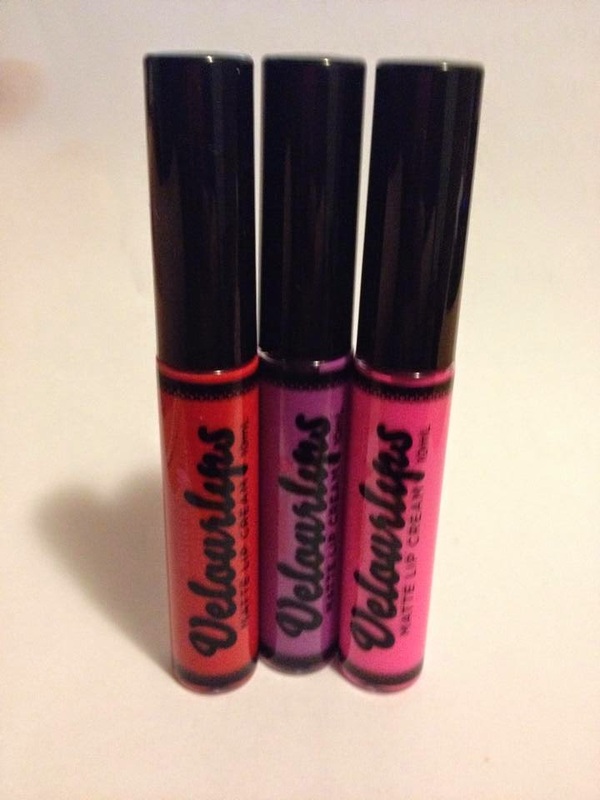 Lips are left smooth and soft as velvet. Enriched with evanescent oils, it’s incredibly sensuous formula provides a soft, second-skin feel, without drying or fading lips." Texture/Consistency: Its true, they are incredibly soft and it does just glide right on. Lips do feel smooth without feeling 'gloopy'. Also true that your lips don't feel dry. This is a big win in my book. 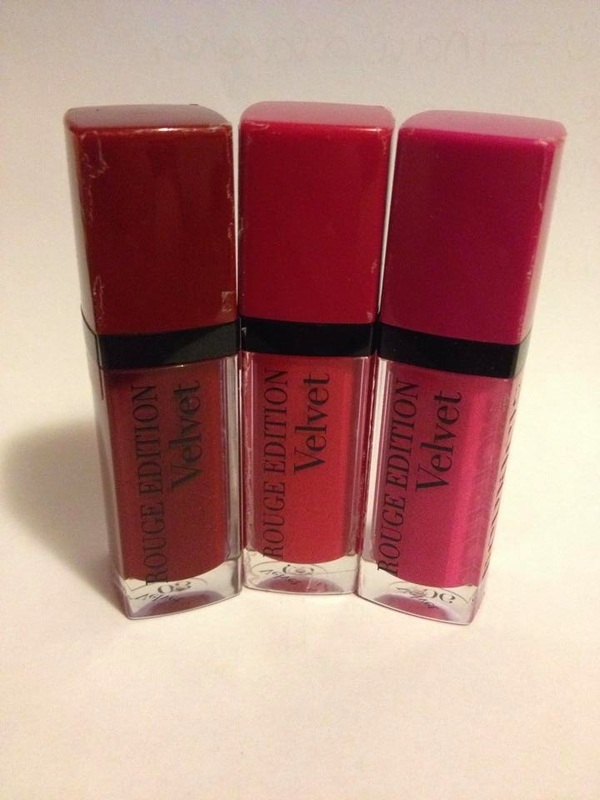 Colour/Pigment: I was so happy with 2 out of 3 of the purchases. The colours are strong and vibrant (the photos don't do them justice) But the colour 'Grand Cru' just doesn't cut it. I don't know what went wrong with this one but it is an epic disappointment. Smell: No aroma. Smells like your average lip product. Application: Easy. Like I said before, product just glides on, the applicator makes thing simple and mess free. Wear and Tear: When I wore it, It lasted the whole day, I don't think I touched up and I'm sure I went out for lunch whilst wearing it. It honestly feels like you're not wearing anything, which is good and bad I think. I like knowing something is on my face before I accidentally wipe my mouth. But other than that. It is a great product. Price: This is one of the only downsides, of the products on review today this one is the priciest by far, the only reason I bout the three (let alone one) is because they are currently on sale. I got them for $10 each instead of the usual price of $25. Honestly they are good, but there are a lot more products out there that do the same thing or better for the same price or cheaper. Just keep that in mind. But if you see them on sale, snag them up! But keep in mind Grand Cru is a bit disappointing. Grand Cru just doesn't cut it like the rest of them. Lighting was a little off. Apologies. 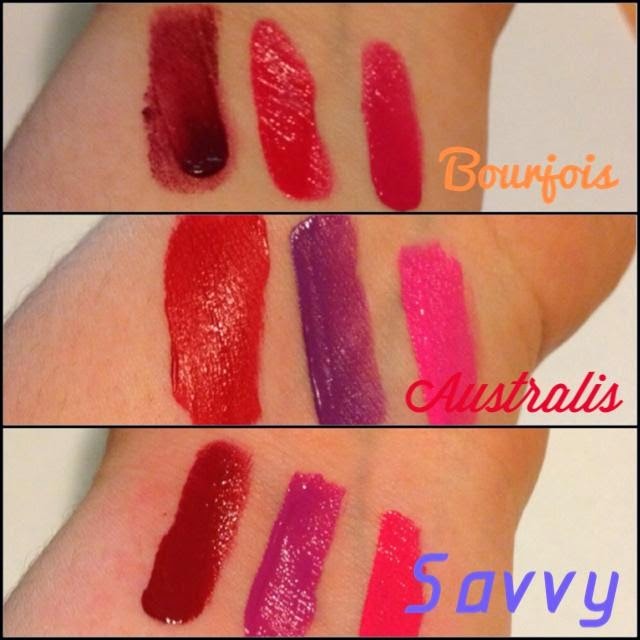 I love a lot of Australis' lip products and I was quite excited to give these a try. Again with packaging, these have really cute packaging (and you don't have to deal with a demonic safety seal, this one is simple to remove). 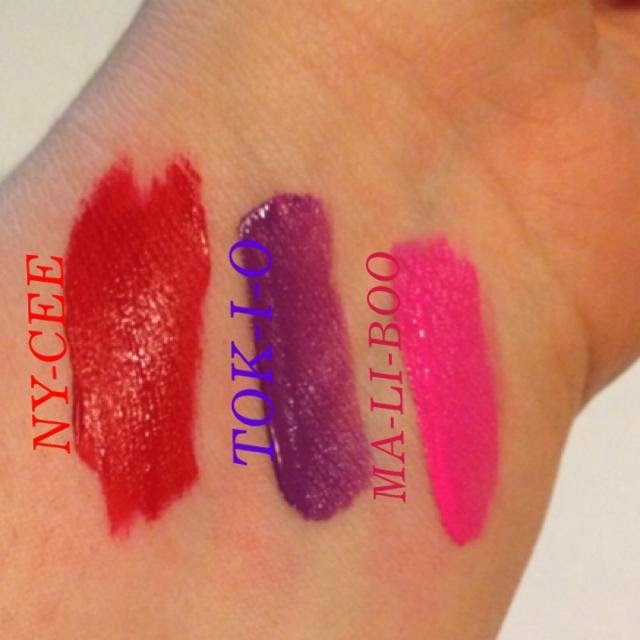 This range of lip product has cute names that are 'City' themed. When I see something like that its almost an instant purchase for me. Then I have to reason with myself, but I'm glad I purchased this. "Highly pigmented lips are the look of the moment, and this lip cream takes it to the next level with its beautiful matte finish! The creamy long-wear formula glides on easily with its doe foot applicator, finishing to a velvety matte look with intense, full coverage colour payoff. 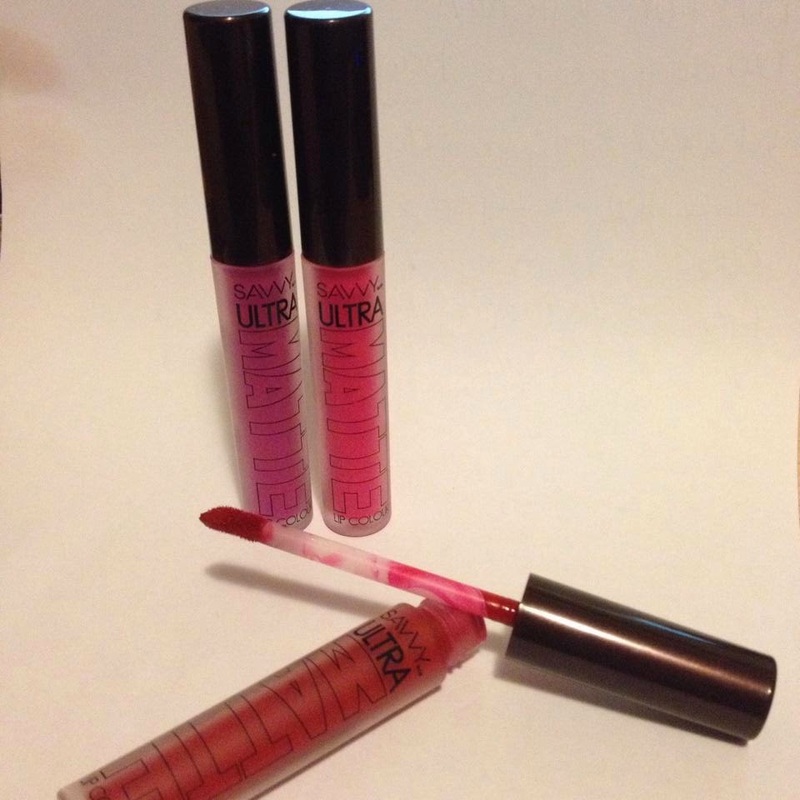 Perfect for when you want lasting, matte colour that moves with your lips without flaking." 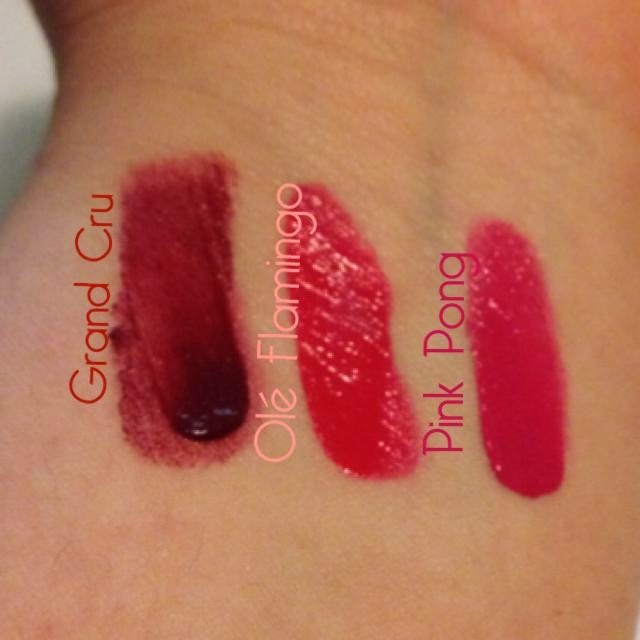 Texture/Consistency: Quite a lot thicker than the Bourjois ones, but its not that bad. I didn't find them as moisturising, but thats not saying they were like sandpaper to put on. They are a nice smooth consistency. But we wary, this product does 'dry' quite quick, so any mistakes better be removed quickly. They do feel a bit dry throughout the day, but nothing that is too uncomfortable or a moisturising clear lipgloss or balm cant fix. Colour/Pigment: Amazing colour and pigment. They're more vibrant in person, the photos (again) just don't seem to cut it. Smell: I'm not sure if it is meant to be this way, or not, but they have a kind of Cherry smell to them. I find it quite pleasant. 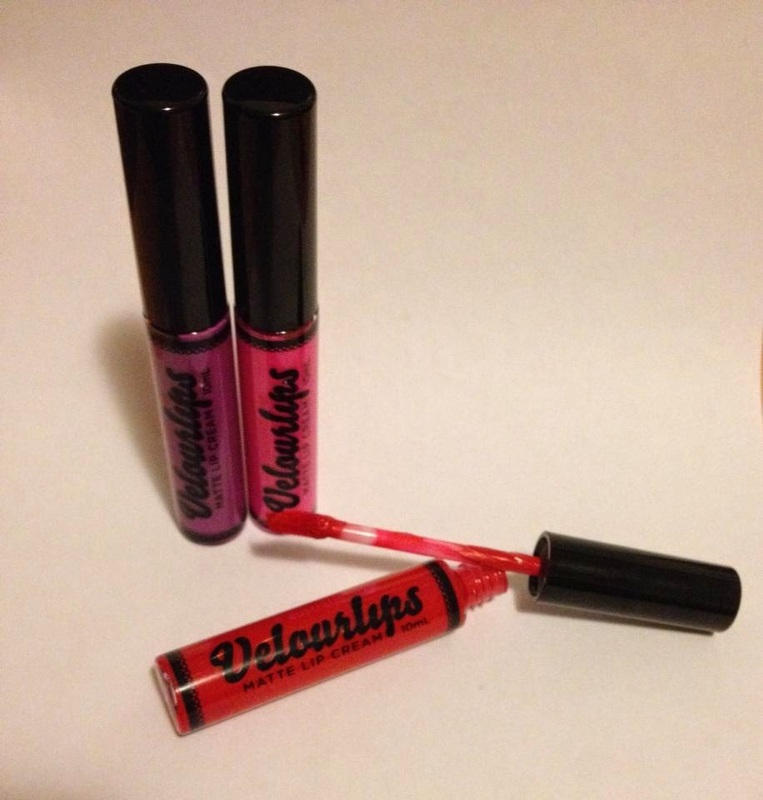 Application: Super easy, glide on smoothly. They do dry quick. 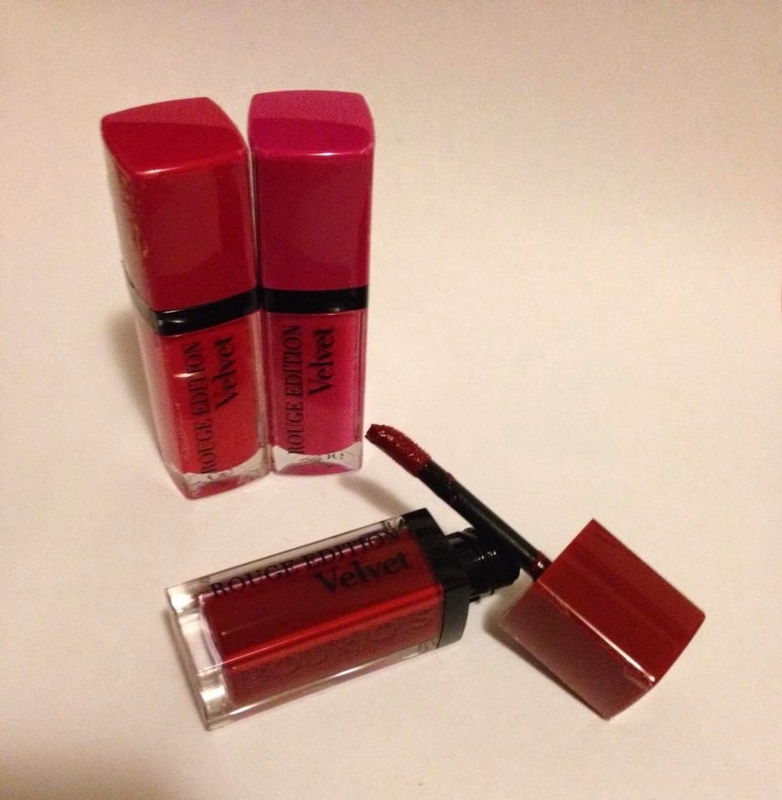 Wear and Tear: This product is a solid decision if you don't intent on changing lippy throughout the say. If you go with one of these, you've made a commitment. They stayed on the whole day, I was eating, drinking, talking and it stayed true to the sales pitch and "moved with my lips without flaking". Each shade is a delightful cherry scented pop of colour! Last but not least, we have Savvy. 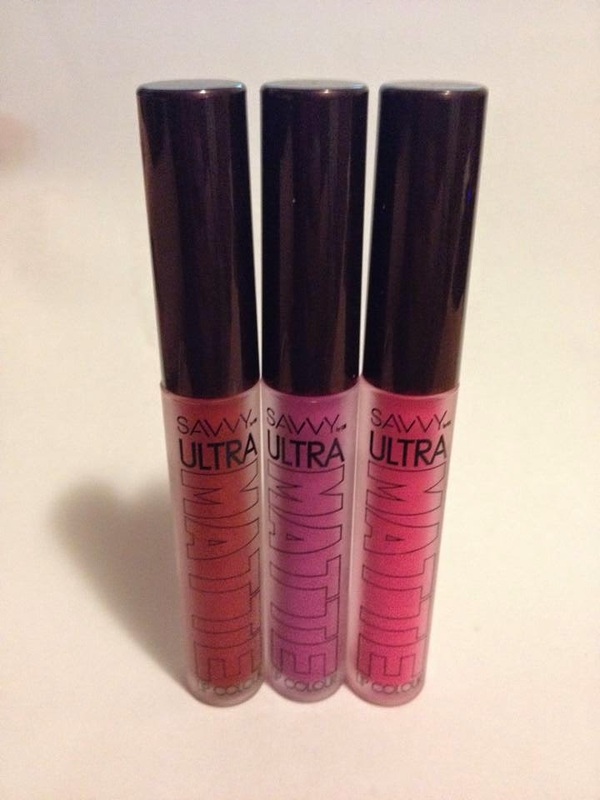 A brand I've never used but since buying these I've bought more of their products!. Packaging! I love the frosted glass packaging for this product. Its similar to the Australis packaging, but the frosted glass makes it (in my opinion) stand out from other lip products in the same shape. Colour/Pigment: I'm in love with 'Miss Monroe'. This colour is what the Bourjois' 'Grand Cru' should have been. The other two colours are fully pigmented and give great coverage. Smell: Not really any smell. Application: Just like the others, quite easy. This also dry's quickly, it isn't moisturising like Bourjois is, and it does feel quite dry and a little bit sticky during the day, but thats only if you press your lips together quite hard, so don't do that and you should be fine. Wear and Tear: Just like Australis this is a commitment. But maybe up a level. Its almost an ordeal to get this off if you've made a mistake, so make sure you know what you're doing. This product will stay all day and night with minimal attention required. Price: I'm fairly sure this product was $7.99, and that is a bargain. For that price, I can say who cares about a slightly dry feeling when the pay off of colour is so great. Amazing pigmentation. In love with them all. 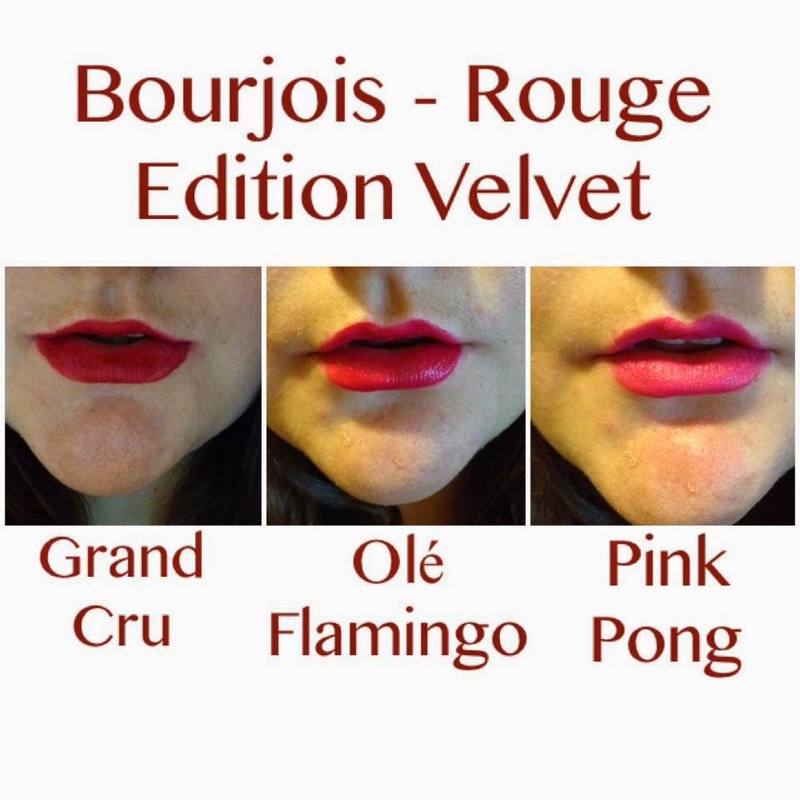 I would recommend all products to anyone who was interested but keep in mind, Bourjois is pricier and 'Grand Cru' is a let down (unless you really put the effort into application). But for the price, you get moisture. Australis is pleasant and with the odd cherry smell its just the 'cherry on top' (BAD PUN) It is cheaper than Bourjois, and is a little drying, but doesn't flake. The colours are all great too. 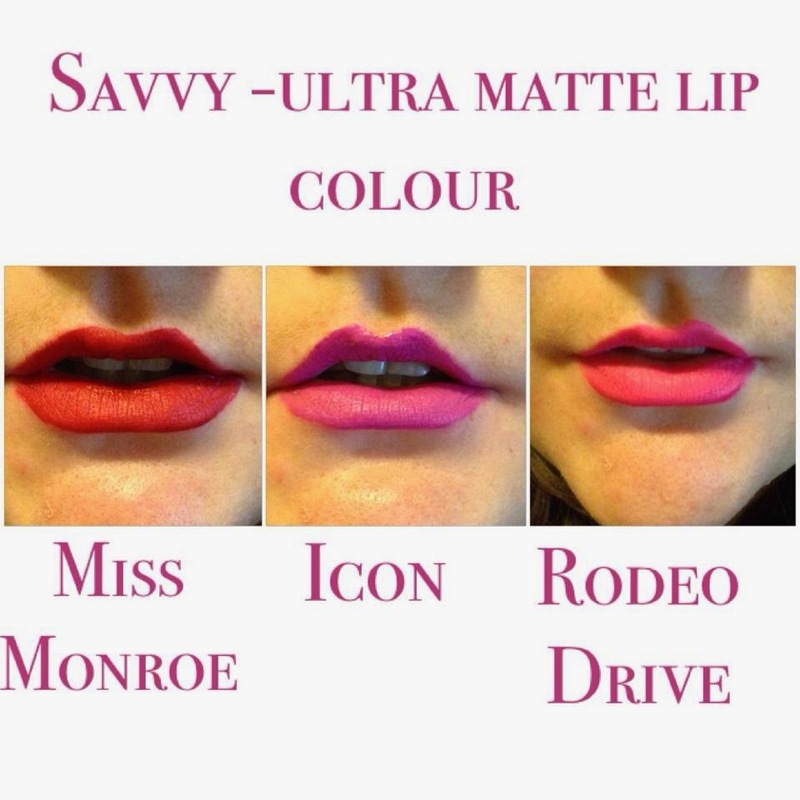 The Savvy products I would also recommend. They are more drying than the other two and do tend to flake, but it took me a whole day of wear and tear for it to start flaking so I think for $8. you're getting your moneys worth. 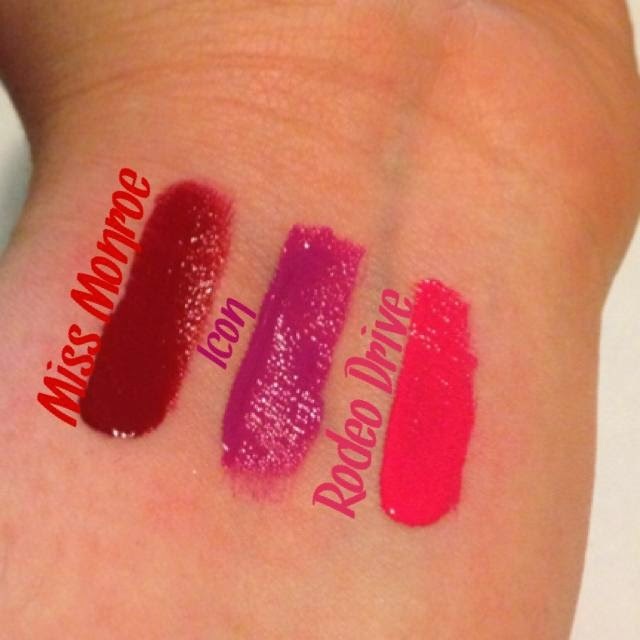 Also, Miss Monroe is a gorgeous vintage deep red colour true to the name and is what Grand Cru should have been. A WORD OF ADVICE: For the more drying lip products, put a moisturising lip balm on before application and throughout the day if needed. It does so much difference. If you made it to the end of this, well done! Thank you so much for reading and I hope you try out these amazing products.